The e-Pulse® Spa Bundle is the ultimate relaxation package for relieving soothing sore muscles and providing a euphoric wellness approach to your therapy. It includes the e-Pulse® Ultra Combo, e-Pulse® Massage Gloves, e-Pulse® Massage Socks, and e-Pulse® Lifetime Warranty Pack. The e-Pulse® Spa Bundle is the ultimate relaxation package for relieving soothing sore muscles and providing a euphoric wellness approach to your therapy. Ideal for relieving pain associated with sore and aching muscles in the shoulder, waist, back, upper, and lower extremities. Protect your investment! 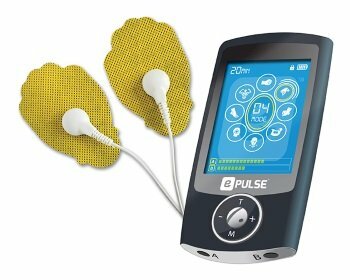 The e-Pulse® Lifetime Warranty Pack extends the life of your Ultra or Pro device by offering a lifetime warranty. Included are ten pairs of large pads and an additional output wire. A $12.99 fee applies for any warranty exchanges. You must register your lifetime warranty and the device's serial number on our website within 30 days of purchase.